Luton Town chief executive Gary Sweet has confirmed he will be naming a new manager in the summer. Interim boss Mick Harford has done a superb job since taking over from Nathan Jones, leading the club in over half of their record equalling 27 league game unbeaten run. 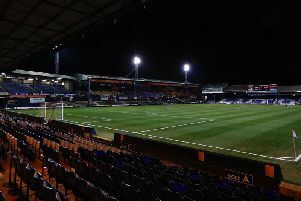 However, he is expected to revert to his head of recruitment role once the campaign has finished with a new man taking over at the helm, with Sweet saying: “Mick Harford humbly took the reins in January and has been faultless in his execution resulting in an amazing long-standing, record-breaking consecutive run of unbeaten games. "We should extend our thanks and gratitude to Mick for the incredible job he has achieved.